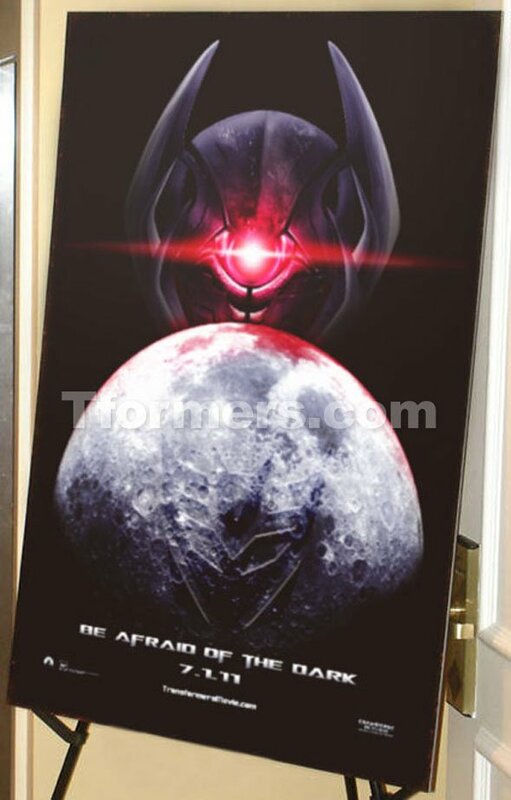 Updated: Is This The First Teaser Poster For Transformers: Dark Of The Moon? It's kind of hard to believe that Michael Bay is going ahead with the unbelievably stupid title Transformers: Dark of the Moon for his next project, but as we inch along towards the film's release next summer and see more and more marketing materials, the harder it's going to be to change it. Now we have what appears to be the film's first teaser poster and while it doesn't have the title displayed, it seems as though we have crossed the "no going back line." Discovered by the Transformers fansite TFormers.com, the poster is quite similar to the first teaser poster for Transformers: Revenge of the Fallen, which simply had the tagline "Revenge is Coming." If they are trying to dissassciate with the incredible magnitude of suckiness that was the first sequel, their not doing a bang up job. UPDATE! Michael Bay has spoken out on his official site where he says this is a, "Total fake poster. The story logline is also a misdirect." A misdirect? Does that mean it's a fake poster he leaked? He's done things like that before. Either way, this isn't real. Move along. Check out the poster below or full size over at TFormers.com.